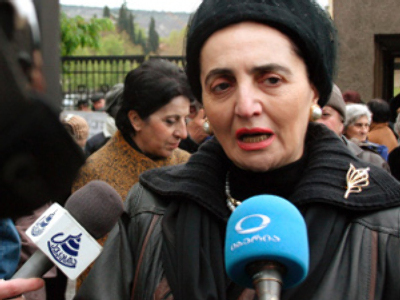 Spiegel published a series of in-depth articles and interviews in several issues, including “The Story of Tskhinvali's Resistance” and interviews with former German Chancellor Schroeder and former Georgian President Shevarnadze. One of the articles is called “The Chronicle of a Caucasian Tragedy”. Back in 2004 Spiegel’s correspondents were the first to carry out a scrupulous investigation of the Beslan siege, the results of which were summed up in a book. Now we might expect another book – this time, dedicated to the conflict in the Caucasus. But it’s already clear that German journalists have done a huge job reconstructing accurately the “road to violence”. Spiegel does not conceal it used intelligence data, which only adds value to the publication. Unlike other international media, in its account of the events, Spiegel goes back to the beginning of the year rather than August 7. It was then that the satellites of several countries’ intelligence services picked up images of the first movements of military forces in the South Caucasian region, the weekly says. The Georgian military had invited American colleagues to Georgia, who made their headquarters at the Sheraton Metechi Palace Hotel in Tbilisi. It is worth noting that the German publication’s figures differ from ours here. They counted 160 Americans in Tbilisi, not 126, as mentioned by Russia’s UN Ambassador Vitaly Churkin at a UN session. Georgia’s military preparations did not remain unnoticed, and this pushed Russia to hold army exercises near its southern borders. The point of no return, when the war in South Ossetia became inevitable, was reached in April after the NATO summit in Bucharest. During his visit to Vladimir Putin’s Black Sea residence in the resort city of Sochi, the U.S. President George W. Bush passed off Russia’s warning about the danger of NATO’s flirting with Georgia. On April 20, an unmanned Gergian spy plane was shot down over Abkhazia. Soon after, Georgia’s President Mikhail Saakashvili sent 12,000 troops to the border town of Senaki. Moscow responded by moving 500 paratroopers and a maintenance team of 400 men to Abkhazia to restore rail lines south Sukhum, the Abkhazian capital. These Russian forces were later withdrawn from the republic. At this time tensions were rising on the border between Georgia and South Ossetia, with shootouts taking place right under the eyes of UN and OSCE emissaries. At the beginning of July, U.S. Secretary of State Condoleezza Rice arrived in Tbilisi for an informal dinner. Russians say this was when last-minute preparations before the upcoming offensive were made. However, Ms Rice later said that her visit was an attempt to talk Saakashvili out of “military confrontation with Russia”. But the German weekly, without giving an assessment of her words, coolly notes: 28 days remained before the war. On July 10, Georgia recalled its ambassador to Russia for consultations. On the same day bomb attacks killed four people in Abkhazia and two in Russia’s Black Sea resort of Sochi. Spiegel wrote that the Georgian military is suspected of being behind the explosions. On July 15, large-scale military exercises began on both sides of the main ridge of the Great Caucasus Range. 1,000 American troops take part in joint Georgia-U.S. manoeuvres named “Immediate Response 2008”. On the same day, Russia launches a military manoeuvre called “Caucasus 2008” north of the Caucasus ridge, between the Black Sea and the Caspian Sea. On July 30, Western special services observed that after the manoeuvre had finished, the 58th army remained on high alert. And there were reasons for that. As the Germans wrote, a striking thing happened – the Georgian leader Mikhail Saakashvili, being closely supervised by the Americans, does not withdraw troops to their quarters, but sends them directly towards South Ossetia. Two Georgian artillery brigades meet in Gori. 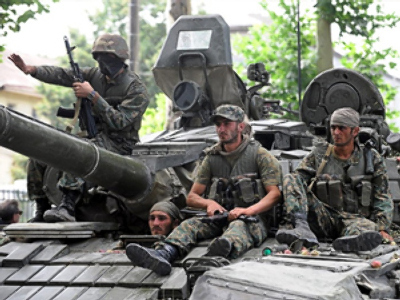 The first exchanges of fire with South Ossetia began on August. Five Georgian policemen were hurt by an exploding shell. The Ossetian side suffered heavier losses. Georgian snipers killed six Ossetians who were out fishing. The South Ossetians began evacuating women, children and elderly people. At about 10.00pm (06.00pm GMT) on August 5, the South Ossetian capital Tskhinval came under massive artillery fire from the direction of the Georgian settlement, Nikozi, 3 km from the city. 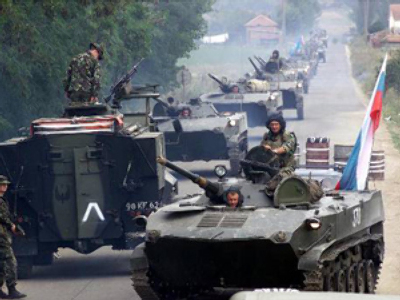 South Ossetians began a massive evacuation as the bombardment intensified. The Georgian side justified the onslaught by saying Russian soldiers were fighting for the Ossetians. But there is no proof of this. In the morning of August 7, as western observers admit, the Georgians concentrated 12,000 of their troops at the border with South Ossetia. Seventy-five tanks and armoured vehicles were also at the ready. They were meant to play a special role in the ‘blitzkrieg’ – to advance to the Roki Tunnel and block it in order to stop Russian troops from entering South Ossetian territory. By then, 500 Russian peacekeepers together with 500 South Ossetian policemen and volunteers had resisted the Georgians. According to data from western agencies, the massive bombardment of Tskhinval started at 10.30pm on August 7. Twenty-seven Georgian ‘Grad’ rocket systems shelled the city. 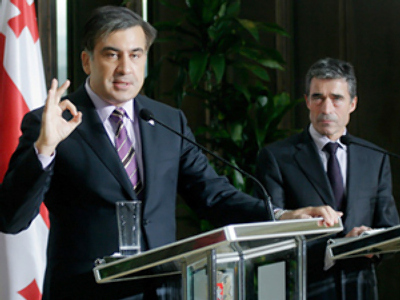 At 11.00pm the Georgian leader, Mikhail Saakashvili, said that his aim was to establish constitutional order in South Ossetia. Ten minutes later the Georgian side informed Russia that it had begun to do this by military means. And to prove it, half an hour later a Georgian shell hit the roof of a three-storey building where Russian peacekeepers were quartered, killing two of them. Then heavy fire rained down on the building, killing 18 more Russian peacekeepers without giving them a opportunity to do anything. At 11.54pm ‘an assault of the Georgian military against Tskhinval’ began. The German journalists have also determined when the Russian side responded. The first Russian troops entered the Roki Tunnel at 02.08am on August 8. It is hard to suspect the Germans of sympathy towards Russia. 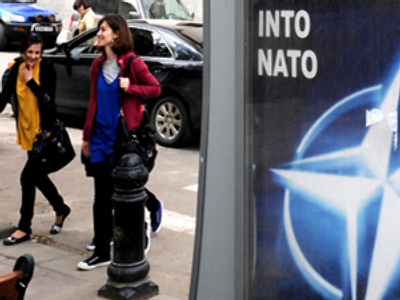 Spiegel has never been pro-Russian or loyal to Russia to any extent. 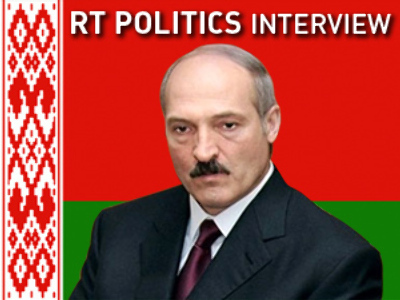 The magazine regularly criticises the Kremlin. But as far as the facts are concerned, the Germans are punctilious. But even after giving a timeline of the conflict, they have reached a conclusion that Russian readers may not expect. The whole Western community is partly to blame for the events in the Caucasus, as it saw the tensions rising. And yet, 'old Europe', aware of the fact the Americans were running the show in the region, did nothing to ease tensions, apparently afraid of incurring U.S. anger.